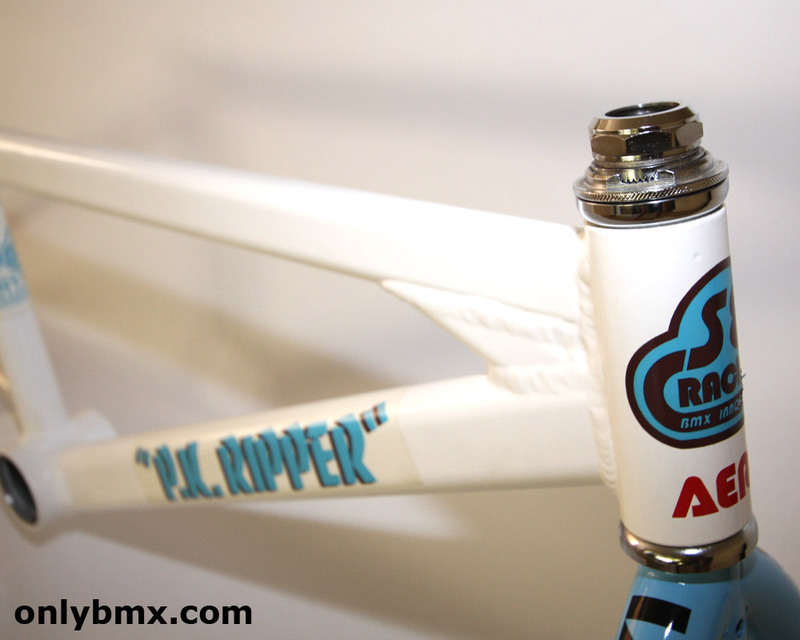 SE Racing PK Ripper and Landing Gear BMX frame and forks for sale. 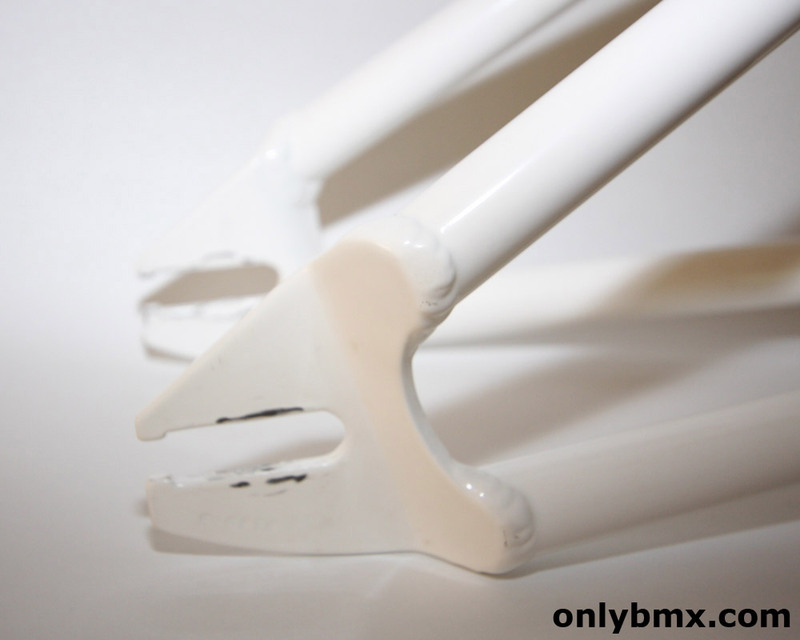 This is a 1985/86 straight chain stay model. 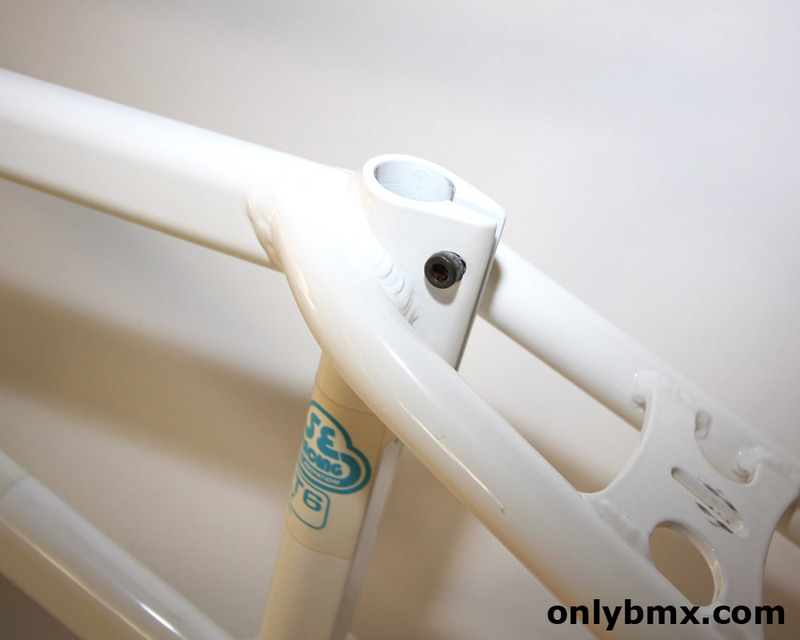 This was only available for about 12 months and then they changed to bent chain stays to provide better crank clearance. 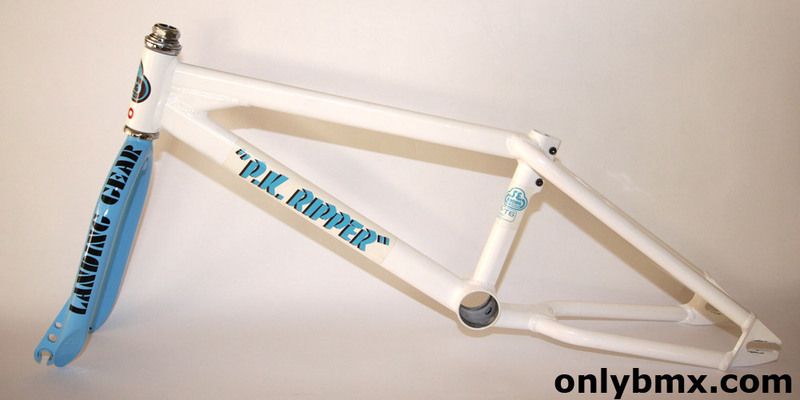 This is the first of the non-looptail PK Ripper BMX frames and also has the integrated seat post clamp that lasted for a number of iterations of the PK Ripper frame. 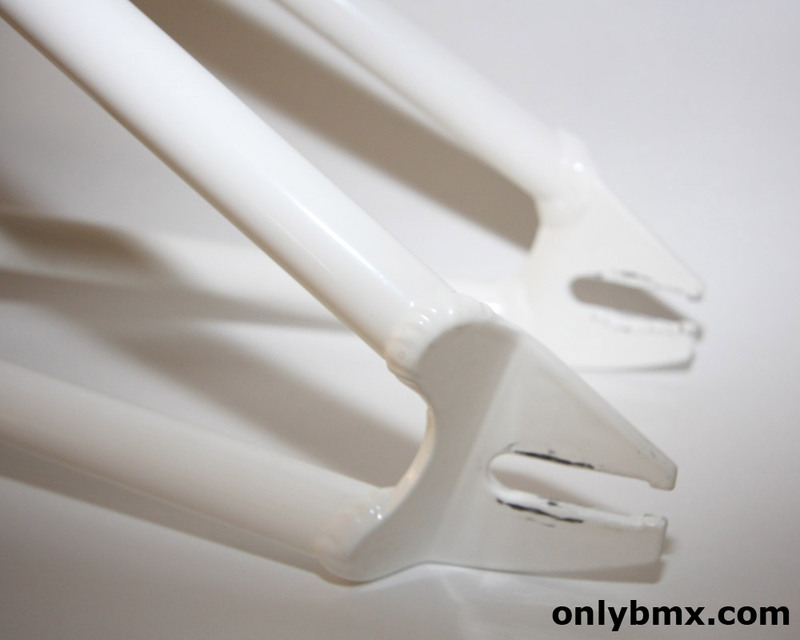 The Landing Gear forks are the stamped versions, also introduced after the loop tail frames. 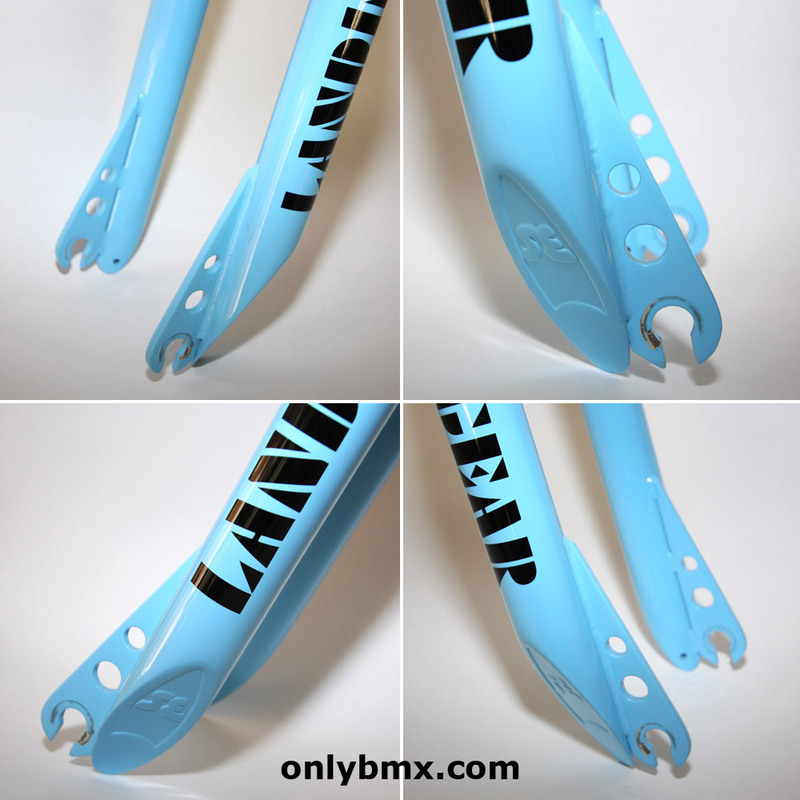 The frame has been powder coated by Roberto’s Custom Powder and the forks were painted based on the correct paint color code for SE Racing Baby Blue. 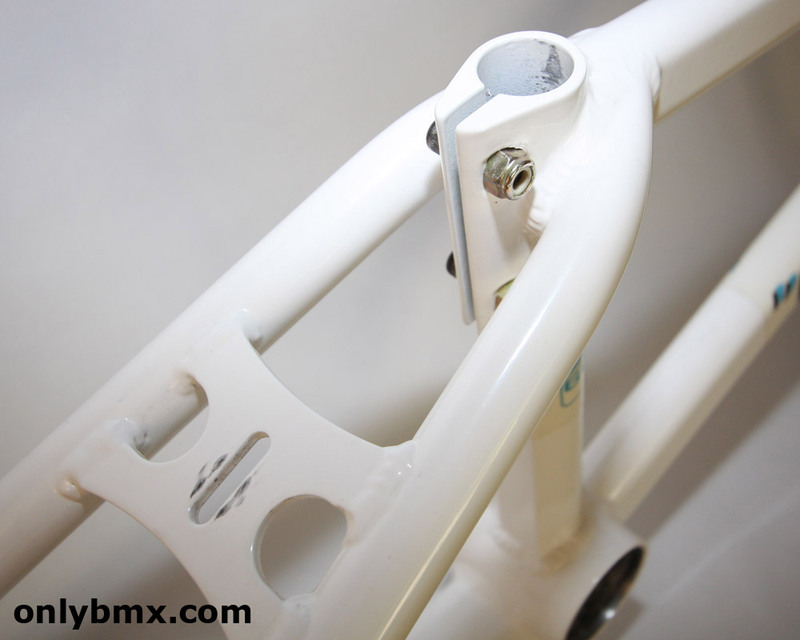 Decals are reproduction and the AERO decal on the head tube can be removed if necessary. 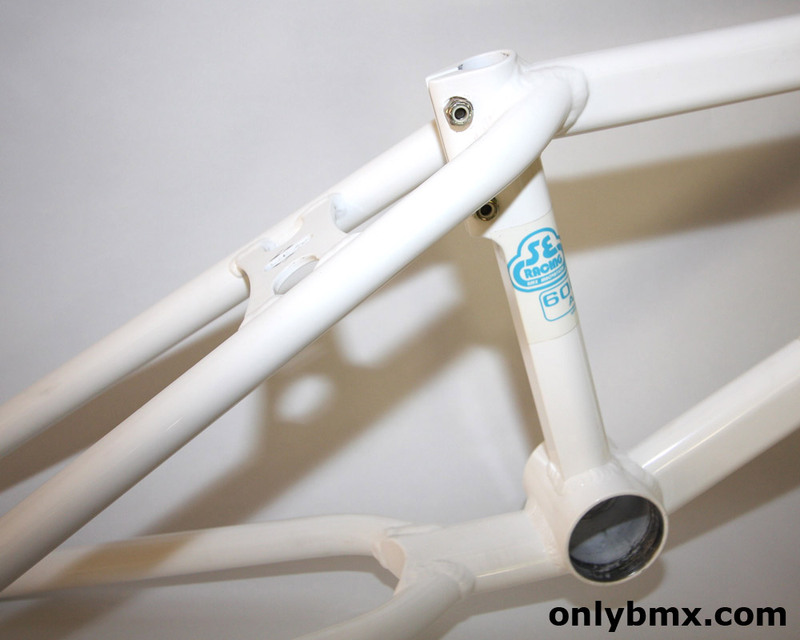 Had the built up as a Mike Buff BMX Action Trick Team tribute bike. 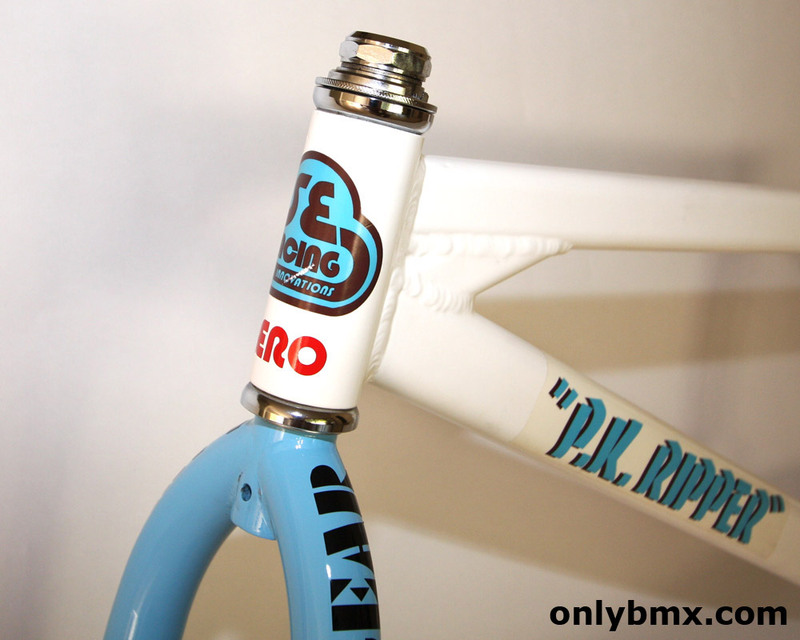 Also comes with a Tioga Bear Trap 2 headset.